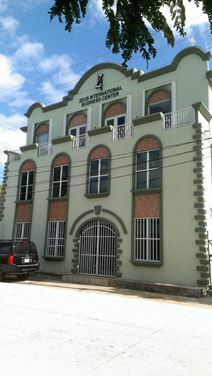 Office Space - Belize City, . This delightful business complex lies in Calle al Mar in Belize Citys business hub and overlooks gorgeous tropical scenery only 50 yards from the Caribbean Sea. The centre provides extensive open-plan or co-working space as well as private suites and a sophisticated conference room. There are also excellent reception and security services, and easy access to shopping amenities and the city centre itself.